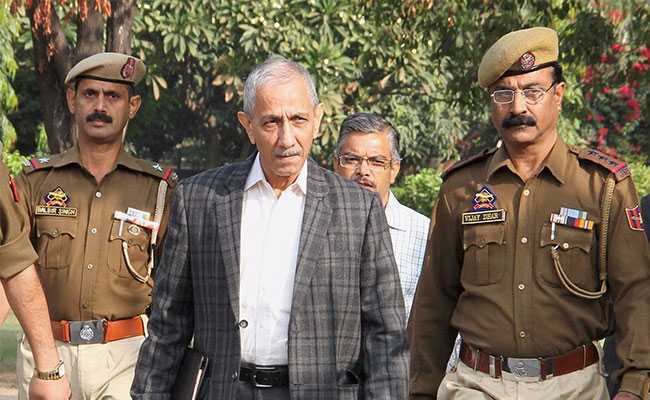 Dineshwar Sharma, who was appointed as the Centre's point person on Jammu and Kashmir last month, began the second leg of his visit to the state and reached Jammu last evening to hold consultations with various groups and political parties. Jammu: Representatives of several Kashmiri Pandit organisations today met Dineshwar Sharma, the Centre's special representative for Kashmir, and sought the setting up of an institutional mechanism for the welfare of the displaced community. Mr Sharma, who was appointed as the Centre's point person on Jammu and Kashmir last month, began the second leg of his visit to the state and reached Jammu last evening to hold consultations with various groups and political parties. He called on Governor NN Vohra and Chief Minister Mehbooba Mufti last night and discussed ways to reach out to the stakeholders in the state, officials said. "The displaced Kashmiri Pandits are the biggest stakeholders in their rehabilitation in Kashmir. Therefore, it is they who should have the maximum say in deciding modalities of return and the methodology," the KP representatives said in a joint memorandum submitted to Mr Sharma. The delegation was led by BJP legislator GL Raina and included leaders from All India Kashmiri Samaj, All India Kashmir Pandit Conference, Jammu and Kashmir National Front, Vichar Manch and Zeishtadevi Prabandik Committee. "It is our demand that the government put in place (a mechanism) which regularly engages the community in dialogue to work out the agreed principles on return," the memorandum said. "One way of achieving it is to have a welfare board on the lines of Gujjar Board or Pahari Board with representatives from different districts of the state and a chairman to look into the issues that concern the community," it said. After meeting Mr Sharma, Mr Raina told reporters that delegation members also raised the issue of encroachment of properties of temples, shrines and cremation grounds. He criticised the poor implementation of the prime minister's employment package for youths from the community. The KP leadership have demanded a commission of inquiry into the targeted killings of members from the community in the Valley and their subsequent exodus, he said.